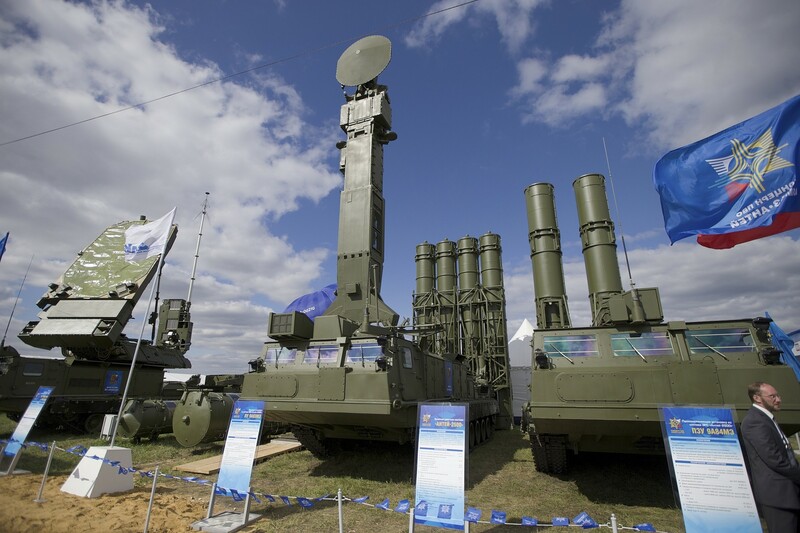 “The S-300 is a complex challenge for the State of Israel. We are dealing with the [decision] in different ways, not necessarily by preventing shipment [of the anti-aircraft system],” the official said. The official added that he believes Russian President Vladimir Putin understands that while Moscow “made a move, the playing field is very large,” indicating that Israel reserved the right to protect itself and that it had the support of the United States. Prime Minister Benjamin Netanyahu on Friday criticized Russia’s decision to supply Syria with the defense system as “irresponsible,” but said Israel was committed to continued deconfliction with Moscow in its military operations in the region. Lavrov’s announcement came in the wake of the downing of the Russian plane. Russian electronic warfare equipment intended to disrupt airstrikes has already arrived in Syria, according to Russian media reports. According to the Moscow-based Izvestia daily newspaper, the electronic warfare equipment arrived at Hmeimim Air Base near Latakia on Monday, aboard Il-76 transport aircraft. Without detailing exactly what was sent, the sources noted that the systems were intended to disrupt airborne radar, aircraft communication and controls, and satellite navigation systems used in attack jets, drones, and guided munitions. Israel has vowed to continue its operations. On the sidelines of the UN General Assembly this week, Netanyahu said after meeting US President Donald Trump that the US president gave him various unspecified guarantees regarding Israel’s freedom of operation in Syria. “I received what I asked for. I came with specific points and I got them,” he told reporters. Jerusalem has vowed to prevent Lebanon-based Hezbollah or Iranian proxy militias in Syria from obtaining advance weapons that could threaten the Jewish state and has worked to keep Iran from gaining a foothold in Syria that can be used to attack Israel. This entry was posted on September 30, 2018 at 7:16 AM and is filed under Uncategorized. You can subscribe via RSS 2.0 feed to this post's comments. You can skip to the end and leave a response. Pinging is currently not allowed.